H x W: 17 in. / 22 in. 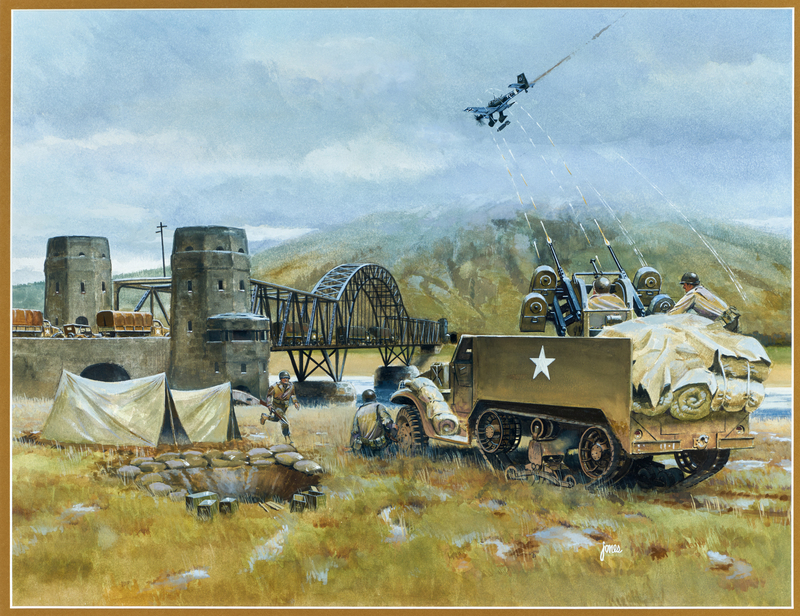 The Battle of Remagen during the Allied invasion of Germany resulted in the unexpected capture of the Ludendorff Railroad Bridge over the Rhine, which probably shortened World War II in Europe.